Latin for "skip the boring parts", many a story likes to take you right into the middle of the action without having to make you watch, read, or play through the expository build up to it. In a way it's like a book starting with a later chapter. But for in medias res to work well it shouldn't feel like you're missing something and needs to be easy to understand, which, funnily enough, can sometimes involve exposition. Because of this, writing in medias res can be fun but also a challenge. 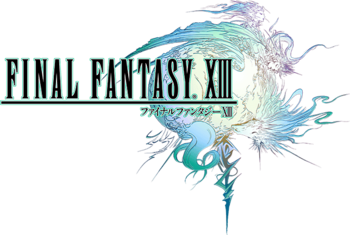 And as you can tell by the title of this thread, I'm gonna take a look at how well both Final Fantasy VII and XIII handle it, and will compare the two while discussing XIII. In FFVII, we start with a starry night sky, eventually transitioning to Aerith (facing the viewer), looking at green sparks coming from a pipe. The camera starts panning out as she walks out from the alleyway to show a street with an almost homey vibe, expanding into a heavily industrial, walled-off city. We pan back down to a train pulling into a station, where the guards there get promptly beaten up by people hopping off the train. After Cloud makes his entrance we almost immediately have a battle. When Cloud goes into a battle scene here he's listed as "Ex-SOLDIER". Outside the station, one of the other people on the train, Biggs, exclaims how Cloud used to be in SOLDIER and that it's "not everyday ya find one in a group like AVALANCHE." With another character, Jessie, asking, "SOLDIER? Aren't they the enemy?" A bit clunky, but that's the nineties for ya. Barret shows up to remind the team that their target is the North Mako Reactor. With that they're off, but not before Barret reminds Cloud that to run, he needs to press the directional buttons and cancel button. Barret asks Cloud if this is his first time at a reactor, with Cloud responding with, since he worked for Shinra, it's not. Barret starts preaching about how the planet is full of Mako energy, its life blood, but people use it every day and Shinra is abusing it by pumping it out with machinery. And that the planet will eventually die because of this. Do you not live here, Cloud? After that, there are some random encounters, and Jessie telling Cloud he needs to push OK in front of ladders to grab them and to use the direction buttons to climb up and down. How did you live your life before knowing how to run and climb, Cloud? Cloud and Barret get to what I guess is the core of the reactor. Before Cloud places the bomb the screen goes red with a mysterious voice saying "Watch out! This isn't just a reactor!" After brushing it off and setting the bomb, we get the classic fight with Guard Scorpion and then they make their escape. As they do, KABLOOIE, the reactor explodes. The gang is trapped in a tunnel but Jessie explodes them outta there. Barret tells them to rendezvous at the Sector 8 station and everyone splits up for now. The street seen during the FMV is now damaged thanks to the reactor explosion and the city folk are running every which way while Aerith just dusts herself off, meeting Cloud and asking what happened. Cloud keeps this encounter brief and you have the option to buy a flower from her. On Cloud's way to the station, he's ganged up on by Shinra soldiers and he makes his escape by leaping on top of an oncoming train underneath. The game opens with a shot of the sky as we pan down to a monorail ride in a canyon. A female narrator speaks. "The thirteen days after we awoke were the beginning of the end." In the train we have what appears to be priests in hooded robes being hassled by soldiers (who have headgear reminding me of Shinra soldiers). Two characters in the priest robes briefly talk to each other and thanks to the subtitles we know their names are Sazh and Lightning. After Sazh's "best of luck," the train goes through a gate, which took me a few watches to realize the train crashed through a barrier. Also, the gate slightly changed color before the train hit, so presumably someone hacked the gate to close (would have been nice to see that). The train shakes and Lightning makes her move, causing the soldier to drop a remote which she stomps on, releasing what were prisoners, not priests. Though I suppose they could be prisoner priests. And again, I didn't realize something in the first several viewings, in this case that the prisoners were wearing cuffs. The scene goes by so fast I didn't notice them. More soldiers come in firing as Lightning beats them up, taking one of their guns and shooting a soldier in the next car. Sazh checks up on a child on the train, informing the kid that Sazh is "not a l'Cie." Given Sazh is saying this to comfort the kid, I can assume "l'Cie" isn't good, but what is it? The organization those soldiers belong to, a nation, a race, a pizza parlor? Well, it does sound Italian. In VII, the very first term the game gives you is "Ex-SOLDIER". When you hear "ex-soldier" what do you think of? Obviously a former soldier, and you don't really think anything of the capitalization until AVALANCHE is used and even figuring that SOLDIER is also a group of some sorts, you know the definition remains unchanged. What do you think of when you hear "l'Cie"? Absolutely nothing. Or possibly the lychee, but I don't think that's what Square Enix was going for. With "l'Cie" (and thank God for the audio, otherwise I would have assumed that lower-case "l" was a capital "I")I have no clue what it's supposed to mean aside from that it's maybe bad. After Sazh tells the boy he's not a delicious fruit, we pan up to see an adorable chocobo chick atop Sazh's sweet afro. So cute! Back to Lightning, who snaps her fingers, activating some power around her, followed by flashy fighting and camera movement. Sazh comes in with the other prisoners wanting to fight. The train enters a weird, completely green city of floating buildings, then switches back to Lightning as the camera pans closer till we see the reflection of the city in her eye. Aircrafts attack the train, with the camera vainly trying to stay focused on one of them. Lightning, furious that the camera is ignoring her, bazookas the aircrafts, but one of the crafts fires at the train, causing part of it to crash into a gate and fall. The prisoners from the fallen car continue to fire at the soldiers, but the soldiers are fans of Stargate and use it to summon (apparently digital) monsters. And out from the distance, the absolutely-not-Guard Scorpion Manasvin Warmech joins the battle. After the battle, Sahz mentions Lightning is a soldier from "Sanctum" and asks her why she's "trying to stop the Purge." "I was a soldier," she responds with. Then we fight down a Midgar-colored pathway, which, even with all the wonderful, flashy graphics, is surprisingly dull, not counting things like Sazh's dancing about during fights. We're soon introduced to another term, "Pulse", which is implied to be a hellish prison. They come across a guard that hasn't noticed them yet, so naturally Lightning yells out "preemptive strike!" The guard spots them anyway. "So much for the element of surprise," to quote Sazh. I don't know if he meant this as sarcastic, but if it was me I would've. Afterwards, the path ahead of them collapses, so Lightning tries to finger snap her way over. Sazh grabs on, not wanting to be left behind and this messes up her power somehow. They spot what looks like a large carrier and head their way there. On the carrier, a fully-armored officer on board charges towards them. It could have looked cool in a head on-shot, but instead we see it mostly from the side, which looks kinda silly. Afterwards, Sazh eggs her on about what her angle is, and she finally responds with "The Pulse fal'Cie. My 'angle' I'm after the fal'Cie"
And with that, they fly off. I could go further as both games continue on after this, but I felt the escapes make a good ending point. The major difference between the two games at this point (aside from the graphics, obviously) is that FFXIII throws a lot of extra (and possibly extraneous) details. VII keeps it simple, and invests us in the plot without a lot of additional trappings. It is probably true this has as much to do with system limitations in VII is it does with choices. In VII, despite silly things like having characters mention how to use controls, the story flow works well as we're thrown into the plot almost immediately. There are easy to identify terms, a bit of exposition, some random encounters, and a little hint that something's not quite right with Cloud. The fighting scenes work well, for all their nineties clunkiness. All this in a fairly short period of time. We quickly see that Cloud is a too-cool-for-his-own-good mercenary who's only in the eco-terrorist business for the money. Or so he says. The game's core premise is established in an efficient manner with little or no wasted effort. XIII on the other hand, sort of does the opposite. In the first twenty minutes of VII, we have an idea of what SOLDIER and AVALANCHE are, and we're given an explanation of Mako and of Shinra. In the first twenty of XIII, we're given the terms l'Cie, fal'Cie (which are presumably to be related to one another given their names), Sanctum, Pulse and the Purge. The latter three are at least actual words, and conjure something of an image, but we're given little context to those and nothing on the first two. XIII's opening is clearly meant as an homage to VII's, but without the understanding of why those elements worked. It's like making a cake by throwing all the ingredients into a pan without mixing them, then wondering why it didn't turn out. I wouldn't call XIII a horrible game (average, but not horrible) but the beginning of the game is more concerned with throwing as many terms, and as much action and camera movement as possible with little attempt at coherency, which only tells you how the rest of the game could be like.